We often find at the Northern Optics weekend display , given the choice of 8x and 10x with the same make and model of binocular, most people go for the 8x. This this exactly what one of our customers did at the Waters` edge visitor centre at Barton Upon Humber. After looking through some 10x, the 8x version gave a wider, brighter view with closer focus. But do not let this put you off. When looking at more distant targets, or planes and ships at sea, the extra 2x gives you the close up detail you require. Another advantage of lower magnification is they are easier to hold steady and give a slightly larger depth of field. Everyone is different, and has different subjects to look at. 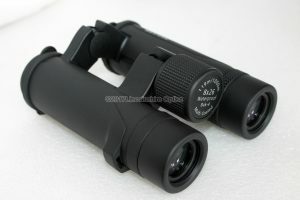 So if possible always go to an outlet where you can try different binoculars. This entry was posted in Helios Binocular Reviews and tagged helios, nitrosport. Bookmark the permalink.